The best football kids Goalpost 6’x4′. High impact uPVC with specially strengthened reinforced polypropylene corner brackets make this the sturdiest plastic goal available. Football goals with a two year guarantee that other plastic goal manufacturers dare not try to match. 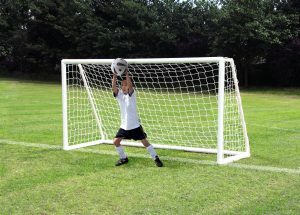 The kids goalpost simply ‘push & lock’ together and net fixings, unique to these goals, allow easy fitting of the goal nets to the rear of the posts. No wasted time clipping unsightly nets pulled around the front of the posts.This is why our nets last much longer as they do not fray along the goalpost bases in the same way as other similar football goals. Multi-surface anchors are included to firmly hold the goalpost down. Secure net supports (not just pushed in a hole as with all other plastic goalposts) hold the frame together no matter what is driven at them. They take the hardest shots and don’t fall apart! An alternative to the poor quality Far East imports which more often than not end up in land fill sites. These are weather resistant football goals that will not rust and are virtually maintenance free. A superior top quality value for money British product that is safe, easy to use and with an extended guarantee. Length of goalpost run back 103 cm. Please note the video above and product photograph displays the slightly larger eight-foot long football goal. The video demonstrates how the net is attached to the uprights and crossbar with our arrowhead net fixings. We now also include additional fixings on the ground base as shown in the image below – useful if you want to quickly take nets off and store goals. Length of goalpost run back 103 cm. 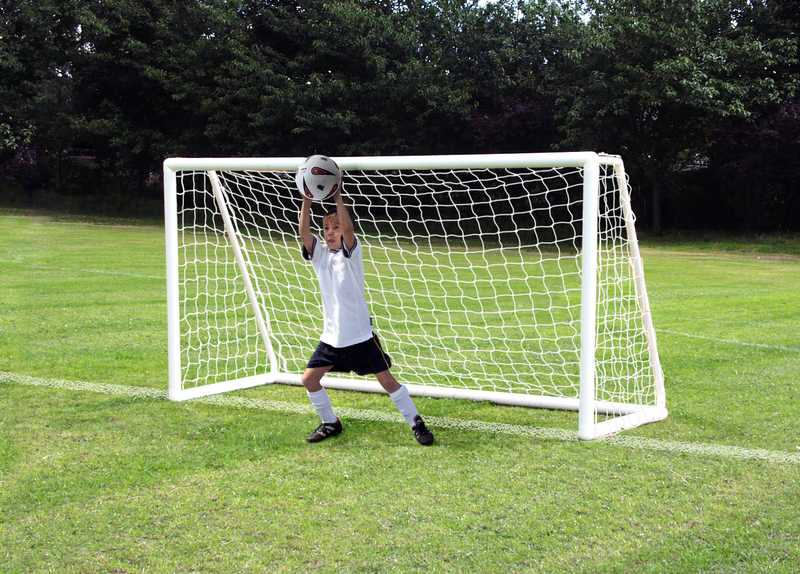 uPVC Kids goalpost from ITSA GOAL the longest established manufacturer of uPVC goals in the UK. Thanks for the goal, really pleased with it, my son’s eyes lit up when he saw it, very pleased with the quality of the net as well, thanks again and best wishes. 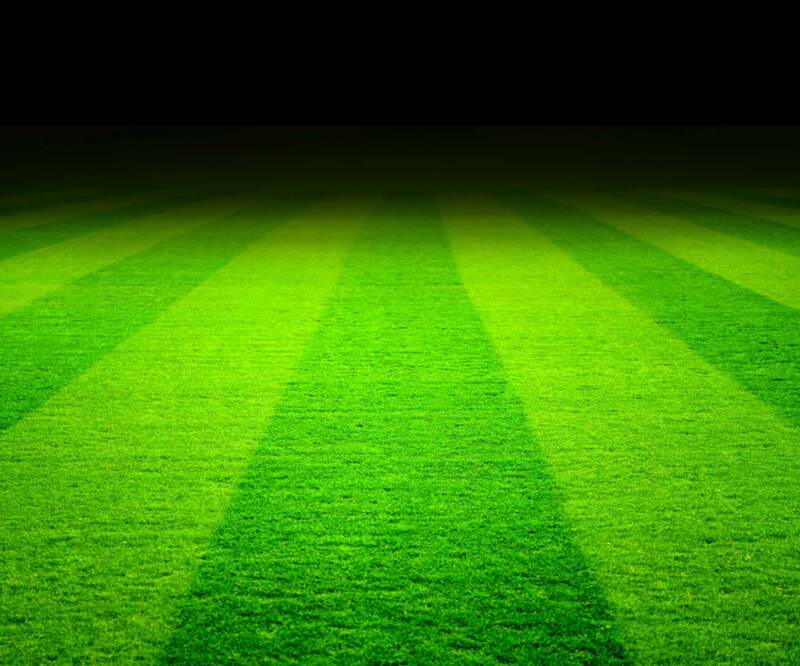 See other reviews on our football goalposts.